Make pages | Flickr - Photo Sharing! The two pieces of felt will become the pages of your book. 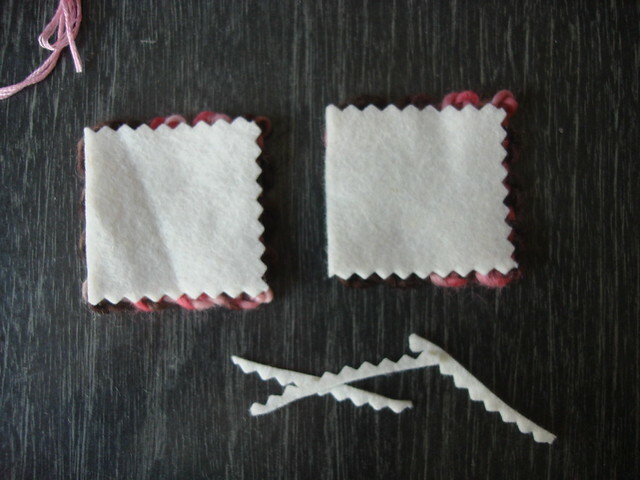 I trimmed 3 sides with pinking shears so they were just a bit smaller than the woven squares. The untrimmed edge will be sewn into the spine of the book.